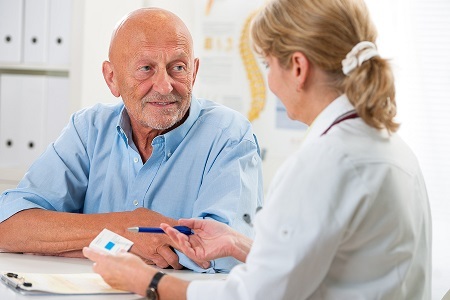 Prostate cancer mortality rates have fallen, from 34 deaths per 100,000 males to 31 deaths per 100,000 between 1982 and 2011, according to a new AIHW report. 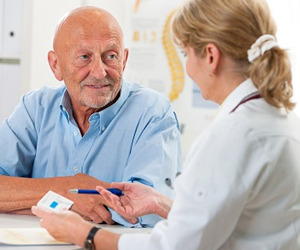 While more men are being diagnosed with prostate cancer, survival rates are high and are improving, according to a report released by the Australian Institute of Health and Welfare (AIHW). The report "Prostate cancer in Australia", the first-ever comprehensive national report on this topic, shows that prostate cancer is the most commonly diagnosed cancer in Australia (excluding non-melanoma skin cancer), with over 21,800 new cases diagnosed in 2009. "The annual rate of new cases of prostate cancer rose from 79 per 100,000 males in 1982 to 194 per 100,000 in 2009," Justin Harvey, AIHW spokesperson, said. "We expect that the number of cases of prostate cancer diagnosed will continue to increase, reaching 25,000 new cases per year in 2020. This is due to increases in the number of men presenting for testing, changes in diagnostic practices and also the ageing of the population. "Although the incidence of prostate cancer has risen, mortality and survival have improved. "There were 3294 deaths from prostate cancer recorded in 2011, making it the fourth leading cause of death among Australian men, behind coronary heart diseases, lung cancer and cerebrovascular diseases." Prostate cancer mortality rates have fallen, from 34 deaths per 100,000 males to 31 deaths per 100,000 between 1982 and 2011. This drop is projected to continue, expected to fall to 26 deaths per 100,000 males in 2020. In 2006-2010, the proportion of males who had survived five years after a prostate cancer diagnosis (92 per cent) was higher than for all cancers among males (65 per cent), as well as other leading cancers among males, including melanoma of the skin (89 per cent) and lung cancer (13 per cent). "The proportion of males with prostate cancer who survived 5 years after diagnosis is high and has improved from 59 per cent to 90 per cent between 1986 and 2007," Harvey said. Aboriginal and Torres Strait Islander men were less likely than non-Indigenous men to be diagnosed with prostate cancer, but death rates were similar. This could be due to differences in rates of presentation for testing, risk profiles and population age structures. Australian health care expenditure on prostate cancer was estimated to be $349 million in 2008-09, an increase of 23 per cent on the 2004-05 figure. This rise in expenditure on prostate cancer corresponds with the increase in new cases of prostate cancer identified between 2002 and 2008.